Super Light TRP Top Mounts weigh in at a scant 78 grams per pair!! You won’t even know they are on your bike until you need them. 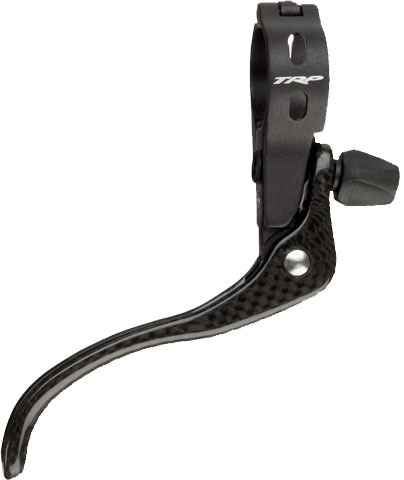 Ti hardware, carbon levers and split clamp.